Happy Valentine's Day! This is my last First Look for the month and it's a set that I am sooo excited about. 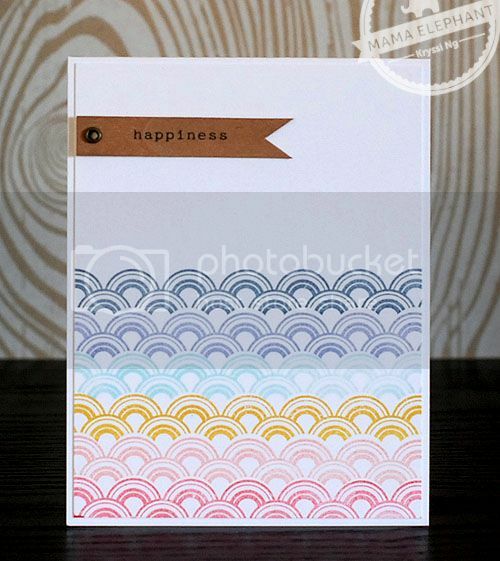 Modern Borders is also one of those stamp sets I started working on over a year ago. So glad the wait is over and I can stamp with it now! The set is pretty straight forward, 4 beautiful, trendy borders for you to stamp your heart out, they're all a bit different from what's out in the market right now. We hope you'll appreciate the little extra detailing we added to them! Modern Borders will be available for purchase on February 15th. 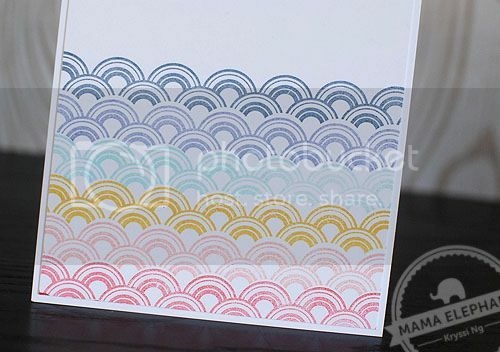 Modern Borders comes in a 4x6 clear acetate sheet and will retail for $15.00. Modern Borders contains a total of 4 border background building stamps. All the stamps measures approximately 5-3/8" in width. First card features the scallops. I'm not very good at eyeballing things, and if you look carefully my scallops aren't lined up perfectly. But, it still looks great! And now onto the chevrons... 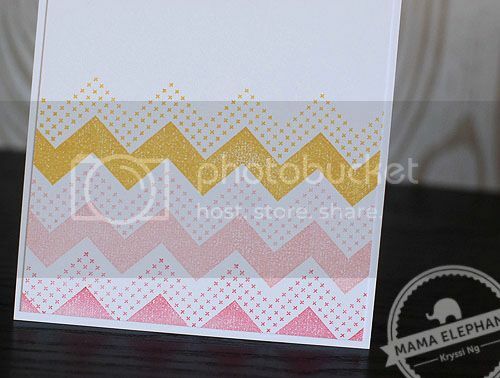 I am so in love with the extra chevron pattern. 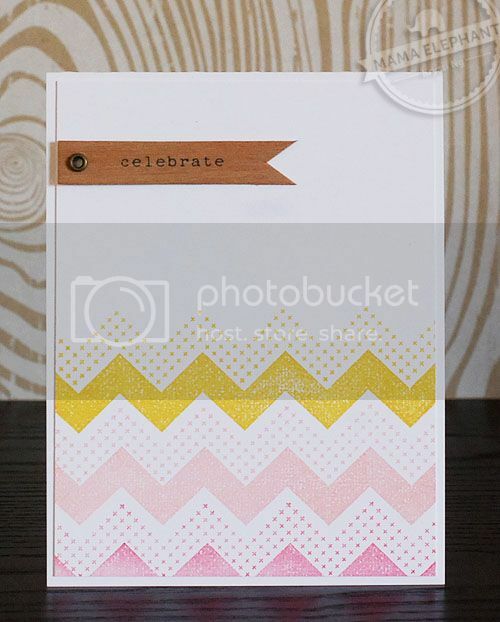 You can stamp them side by side like I did here or stamp the patterned chevron top of the solid chevron! These are my absolute fave border stamps at the moment! Oh these patterns are AWESOME! Wonderful for creating pretty background designs! Loving your border stamps!! The cards are just wonderful showing them off! !